My next piece of research is going to be based on Ideology, representation and the star image that are applied to media texts. Word Cloud is a small program which allows you to make pretty diagrams or clouds of words. I have used this to present the ideology that is applied to film and media texts such as magazines and film trailers because it makes it more interesting to look at. The role of ideology is it forms your goals and expectations and where it can then be used to think about what would make a suitable product for the target audience. 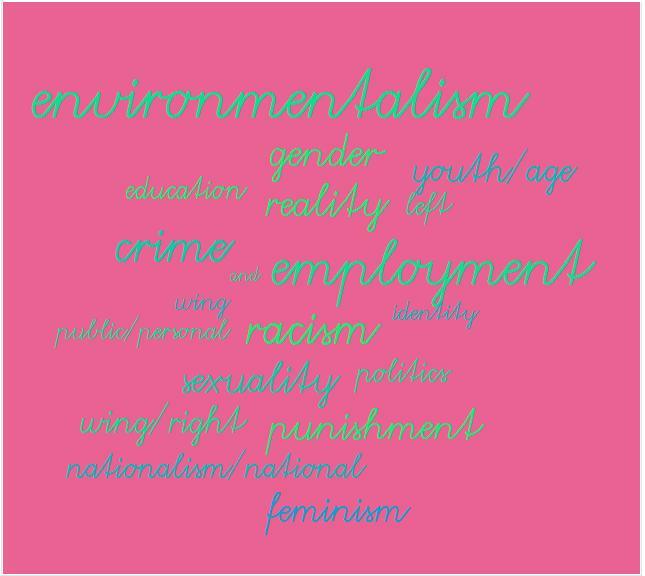 For example in my Fantasy film trailer, I would have the youth/age item, Environmentalism, where I can create an unrealistic place and then gender as I will need to have a heroic character that is often seen in these sort of films. In development to the above, the idea that I could add in relating to media is of course genre. Media Representation usually refers to the way items have been presented such as characters, location, props and objects, key events and culture. The markers of identity that we as the spectators see are the Class, Age, Gender and Ethnicity which influences what we believe about what is being shown. It is also not how they are constructed but what makes them distinctive to other things and other roles. A curious child or adult is seen finding a new place via ordinary objects such as a wardrobe or a book. Films of this genre do this a lot to give the sense of possibility. Using the results from my Questionnaire I need to think about the range of groups that have responded and about the essential habits, behaviors, likes and dislikes so I can market to them effectively.When I finally have to start making my final products I have to make sure that I consider my target audience and that it is appropriate due to the fact that if my film was aimed at young children at a PG -12 rating there would be no extreme use of bad language or violence. Although to interest the adults I could include some themes that would be exciting for them so I don’t limit my audience. As the Fantasy genre is aimed at all types of audiences I would like mine to be for young teens to adults. The next part of Audience research that I am going to do is on theories and there are three main ones. This theory was the first attempt to explain how mass audiences might react to mass media. It suggests that audiences passively receive the information transmitted via a media text, without any attempt on their part to process or challenge the data. The theory was developed in an age when the mass media were still fairly new where radio and cinema were less than two decades old. This may still work but everyone is effected in different ways. The Two Step Flow theory suggests that we are more likely to be effected by media if we discuss it with others because other opinions could be different to your ideas,so you are more vulnerable to influence not by a direct process, but by a two-step flow. Therefore we are receiving them being expressed by the opinion leaders. Surveillance-information which could be used for living e.g Weather reports, holiday bargains and News. This blog post is again part of my research and is about the different main industries and practices of the Fantasy genre. Whilst researching the films I used to analyse in the posters and trailers, I came across a few main companies that produce them. Firstly Warner Bros. Pictures is one of the major subsidiary studios releasing a substantial amount of films annually which includes the most recognised Harry Potter series. It was founded in 1918 as Warner Brothers studios by Jack, Harry, Albert and Sam Warner. I think unlike other company logos this is the most versatile as a lot can be added or changed about the overall design. For example similar to what I have explained before, the Harry Potter films include the logo to make it part of the film and blend it in with the colour scheme such as the gloomy, cloudy background creating a mood. It also provides a good opening to the film causing the spectator to anticipate the beginning. Then there is the original design and another one which is mostly appropriate for families where the character Bugs Bunny leans against the logo. The next one I have looked into is Metro-Goldwin-Mayer (MGM) who are an American media company, involved primarily in the production and distribution of films and TV programs. MGM was founded in 1924 when the entertainment entrepreneur Marcus Loew gained control of Metro Pictures, Goldwyn Picture Corporation and Louis B Mayer Pictures. They have created well know Fantasy musical ‘The Wizard of Oz’ starring Judy Garland. The logo is a lion and has slowly been developed since then to keep it in date in terms of how it moves and appears. Monica, California with international offices in London. It was originally founded in 1991 by Bernd Eichinger, Arnon Milchan and Andrew G. Vajna. I have discovered that this specific company found difficulties after a string of flops until it finally found success with Twilight boosting up their numbers. 20th Century Fox Film corporation is one of the six major American film studios that influences most of the media. It is located in Los Angeles and is a subsidiary of Rupert Murdoch’s News Corporation which is also mentioned on the logo. The company was founded in 1935 as the result of the merge of Fox Films and Twentieth Century Pictures founded in 1933. Many popular releases that have been created include Avatar and Night of the Museum .Another subsidiary is Searchlight, established in 1994 and producing films such as Black Swan. Paramount Pictures have a brilliant reputation with the genre with some of the films being co-produced with more British film companies such as Marv. Paramount is an American distribution company located in Hollywood and founded in 1912 meaning it is the oldest film studio in America. The distinctive logo is of a mountain with stars circled around it. Throughout my research I have found out that the logo originally had twenty-four stars, as a tribute to the then current system of contracts for actors, since Paramount had twenty-four stars signed at the time. The films by Paramount Pictures in the Fantasy genre are Stardust, The Spiderwick Chronicles and the Curious Case of Benjamin Button. If i were to choose one of these to make my film it would definitely be Warner Bros. because they have a lot of experience within the genre and their promotions are really effective in encouraging the audience to go and watch it. Most of the logos have been developed technologically so they look more realistic. I am now going to talk a bit about the Fantasy genre and the different artists that have been most involved whilst concluding with my thoughts and final decisions. Fantasy are films with fantastic themes, usually including magic, supernatural events, creatures or exotic worlds. The genre is considered to be distinct from science fiction and horror, although the genres do overlap in some cases. For example much about the Star Wars saga suggests fantasy, yet it has the feel of science fiction because it is set in space and on distant planets. Another important sub-genre of fantasy films that has become more popular in recent years is Contemporary Fantasy. Such films feature magical effects or supernatural occurrences happening in the “real” world of today. The most prominent example in the early 21st century is the Harry Potter series of films adapted from the novels of J.K Rowling which is where I found my inspiration when thinking about the genre that i should follow for all my products.Fantasy films often have an element of magic, myth, wonder, escapism and the extraordinary. This gives the audience a feeling that anything is possible in the film world which gives them excitement and can also create hordes of fans especially with series. The artists that create the films could also be called Directors as they have the direction to produce their film to what they want it to be like from costumes to performance. 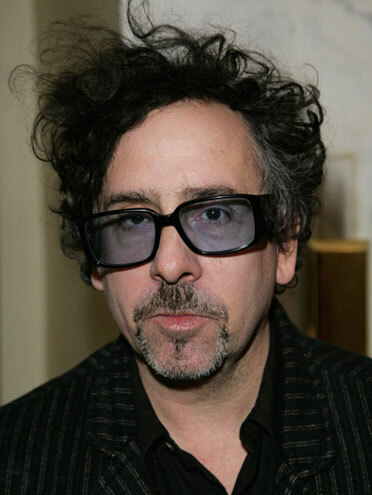 Timothy Walter “Tim” Burton (born August 25, 1958) –Tim Burton is an American film director, producer, writer and artist. He is famous for dark, quirky themed movies such as ‘Edward Scissorhands’ , ‘Alice in Wonderland’, and ‘Charlie and the Chocolate Factory’. 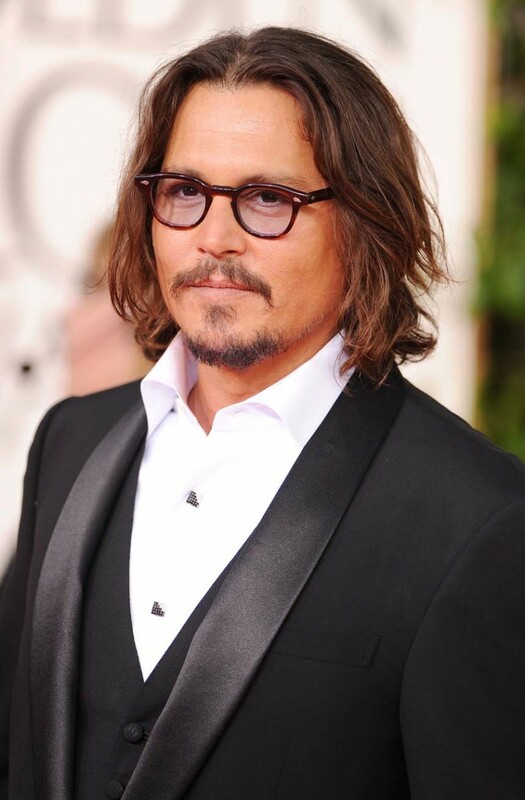 Among Burton’s many collaborators are Johnny Depp, who became a close friend since their first film together, musician Danny Elfman (who has composed for all but five of the films Burton has directed and/or produced) and domestic partner Helena Bonham Carter. As well as films, he has also directed music videos such as for the song ‘Bones’ which is the third single by the band The Killers off of their second studio album, Sam’s Town. Other notable stars are Alan Rickman and Timothy Spall. In conclusion to the research on Artist and Genre I have learnt a lot on the many directors that I have named above who have the most experience of making films to fit with the Fantasy genre. I have watched many of their films in particular Tim Burton and Gore Verbinski as they have a wide target audience meaning young children and adults are able to watch the films. 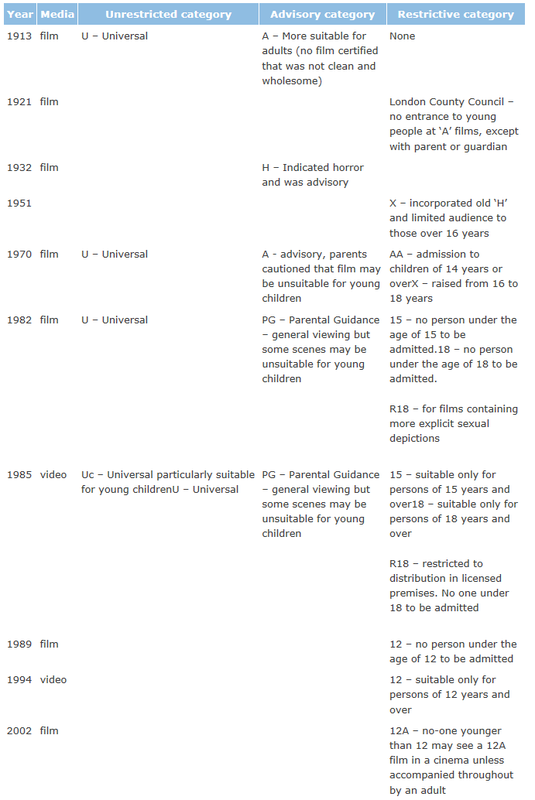 I would like to include that in to mine as i would want my film to be enjoyed by young children as well as the adults. 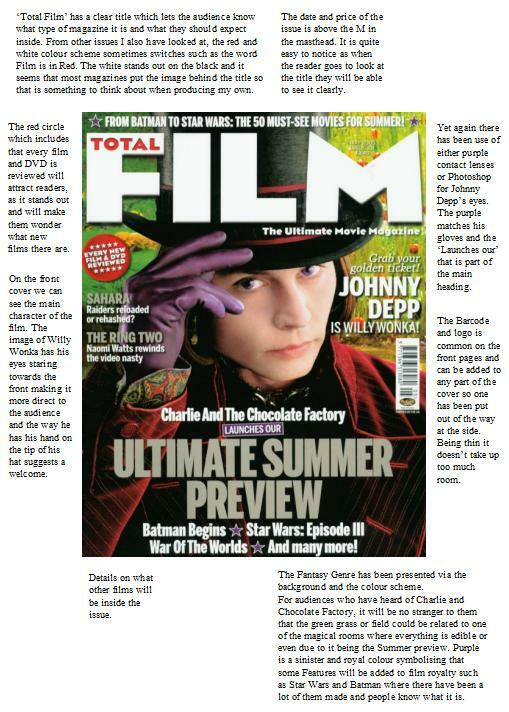 The final piece of analysis I am going to do as part of this research on existing pieces is the magazine Total Film. Total Film is a British film magazine. Total Film is published 13 times a year (every four weeks) by Future Publishing. The magazine was launched in 1997 and offers film, DVD and Blu-ray news, reviews and guest editors have included Peter Jackson, Stephen Merchant and Ricky Gervais. I feel that both the British and American ones offer the same amount of information and features whilst also bringing in both of the successful film industries which makes them interesting to read as you can get a good idea of what is happening in the other country. I have focused this time on the overall layout I would like my cover to have such as the title going over the top of my main image and having none or only a few pictures so it doesn’t look too over crowded. I will also create an appropriate colour scheme that matches the image as this is what other film magazines have done. I am also going to of course use my imagination to think of a good name that suits to a magazine of this type and even the features to make it more professional. Overall looking at the different magazines and the similar articles they each seem to have has been extremely helpful. Here I have made a prezi interactive presentation of all the things I have already and am going to research. I was quite impressed with the software that I thought it would be incredibly useful to plan what I am going to look at further before I start to plan the final piece. was released, completing the Pevensie Trilogy. 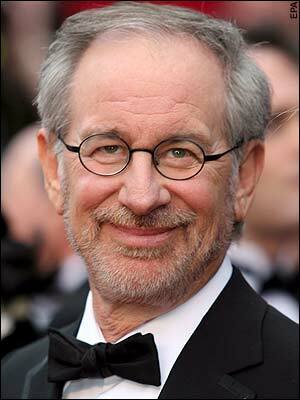 A fourth film, The Magician’s Nephew (film) is planned for 2013. So far, the series has grossed at $1,164,662,685. from my opinion I think that the setting along with the clothing worn is the most important as it is the first thing audiences notice in a film trailer and it also shows them what type of genre it is based on. Even though the costumes are from the 40’s they are fairly basic particularly at the beginning where the children are seen wearing smart shirts, braces, grey trousers ,skirts and flowery tea dresses. Lucy the youngest is wearing this because it emphasises that she is less grown up and shows the innocence of her character and imaginative side of her. Then the big fur coats that they have taken from the wardrobe means that it is cold and compliments the winter feel of the land. The White Witch’s gown lives up to her title, she is dressed in a big white dress with a snowy fur jacket and a tall crown. The crown looks like long icicles which keeps to the cold theme suggesting that she has the most power in the film and she has cold and horrible feelings towards the Narnians. When the trailer begins the location of the first part of the film and key prop is introduced. 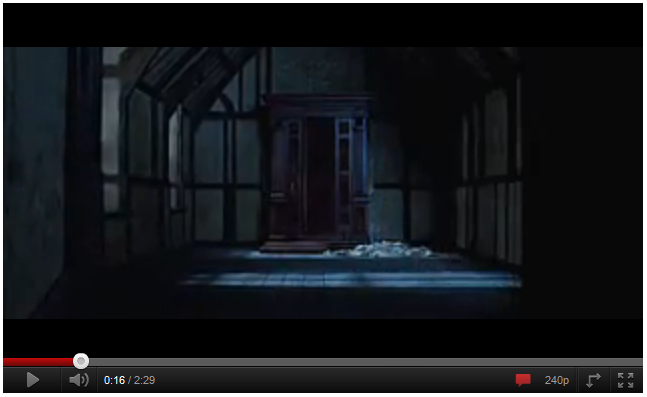 As the name of the title hasn’t been revealed yet, the big house usually means that it is going to be scary but then it switches to the image of the wardrobe, in a dark room changing the spectator’s idea. The Wardrobe is most significant as it is part of the title and the audiences who have read the book or already heard of the story will realise what the film could be about. The trailer contains key clips of the battle seen where they are using swords and bow and arrows to defeat their enemy. The sounds and music is quite tense and it slowly builds up to the more big events in the trailer such as the battle scene and when Aslan comes out of his tent. It starts with a few sounds and then finally it gets more dramatic which will attract audiences as they have become emotionally attached to the film. I like films that also use this technique aswell as the use of a well-known soundtrack which could be recognised for that film and therefore will gain awareness and hopefully more viewers. Analysing these film trailers has given me plenty more ideas than what I started out with. I will hopefully add these in so it is exciting to watch and will encourage my target audience to watch it.